This is a guest post written by Terry Sidhu. Want to contribute? Check out the 2016 publishing calendar. 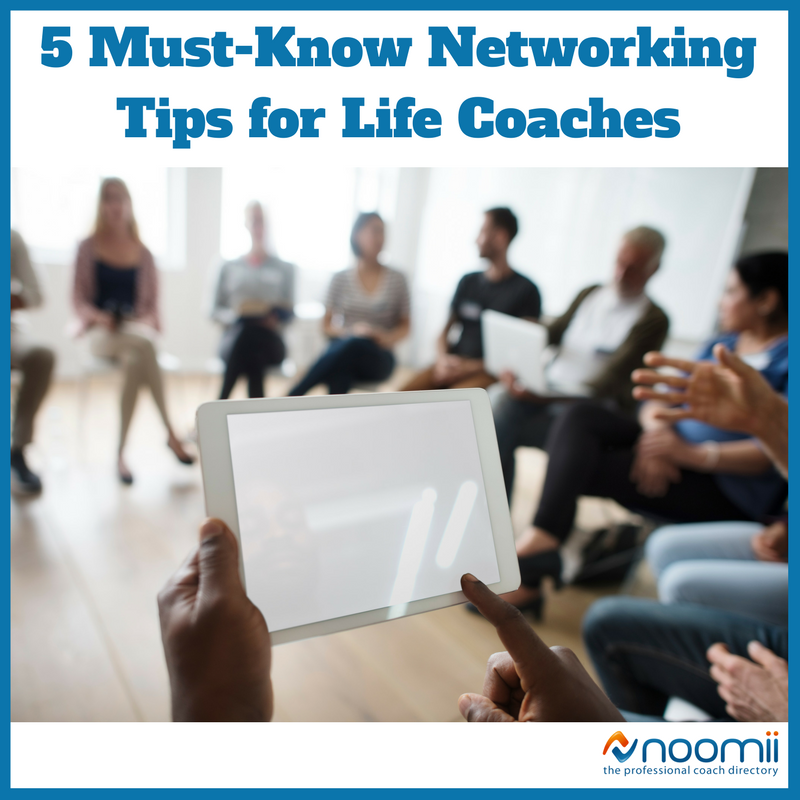 Whether you’re looking to develop business relations, seek out new opportunities or connect with potential clients, networking is a great way to increase the awareness of your coaching practice. If it’s not already, networking should be a prominent feature on your marketing plan. When I started coaching, not only had I found new clients and connected with new opportunities to grow my business, I had learned so much about myself, about my work and how to best serve my local community. Furthermore, networking is not only a fantastic tool to strengthen your brand, it does wonders for your confidence too! Let me stress this one more time, KNOW YOUR IDEAL CLIENT. In the early days, I had made the rookie mistake of marketing too broadly and found it difficult to answer this question. As coaches, we often work with a broad range of clients, but you have to make it easy for people to know who they can refer to you. Furthermore, knowing your niche will allow you to stay prominent in the minds of those people you connect with, so that if they come across your ideal client, you're the first person they’ll think of. Know your demographics from your psychographics and own your slice of the market. Think of your ideal client as your core client base and as your practice grows, your target market will/can too. PRO TIP: When in doubt, describe the person who benefited from your services the most. When I was a rookie, I would describe my sister who was essentially my first client and my first success story. There is a lot of curiosity about life coaching. For many, it’s a new or unheard of industry, therefore, when you’re representing yourself, you’re also representing the rest of us too. So know your coaching practice and know it well, so that you appear knowledgeable and confident. Fortunately, this was my strongest area, only because I did my research and I rigorously tested my coaching model/program and fine tuned it until it was transferable from client to client. Whether you’re a coach working off of a certified program and/or you’re a coach with the experience and expertise to guide, know what it is you’re working with and know your process from start to finish. You’ll be faced with both skepticism and intrigue, so it’s your job to pique interest and turn skepticism into belief. Nothing works better to turn a skeptic into a believer than by helping them get ahead in their own pursuits. Therefore, it’s good to know your sales process too, because people at business networking events will always be looking for sales/business advice, so offer it. PRO TIP: Start a client checklist from consultation through to follow-up and develop your sales/coaching formula. Writing out your process from start to finish will help you to recall it and as a bonus, you will have developed a checklist to keep track of your client’s progress too. Your personal journey into coaching is just as much as part of your brand as the rest of your marketing communications. I get asked this question everyday now and I love it because it’s an opportunity to prove my worth. My story is unique to me and is what made me become a life coach; my journey is what encouraged me to help others. I personally think it’s the best way to connect with an individual, because you connect on an empathetic level and it helps break down any preconceived perceptions they may have of you. It makes you relatable and approachable as well. A strong life story will make you appear authentic and sincere, which are qualities that I believe every person should have and not just the professionals helping others. Every single person on this planet is a coach within their own right, it’s only when we’ve overcome personal struggle do we realize this. Empower and encourage others all the way with your story, for you are your unique selling point, so practice presenting it well. Remember, it’s not all about you, so ensure that you take the time to listen to what other people are presenting. Be just as enthusiastic about someone else's pursuits, as you are your own. You’re a life coach and one of the qualities which makes a great coach, is the ability to listen as well as motivate. So show a genuine interest. Failure to show a genuine interest in others will make you come across as arrogant and will feed right into skepticism. Although that’s not the only reason to show a genuine interest, you could be speaking with a potential client and you may not know it yet. Furthermore, what is being presented to you may be an opportunity in disguise, so be attentive. Whether you’re starting out or you have you a developed coaching practice, you are still essentially the product. Therefore, do not hesitate to offer advice and support, and share current examples, so that when you are presented with this question, you won’t come across as inexperienced or stubborn. My nearest and dearest are sure to remind me that I’m only as good as my last client and they do this to ensure I don’t get complacent and that I remain current. Stay on top of your game and it won’t matter what your professional experience amounts too, because your passion and determination will speak volumes! PRO TIP: You want your business to appear active, so ensure you’re social media outlets are recently engaged (i.e. tweet, post, share, blog, and comment - whatever the action just ensure you show activity online before you attend your event). Secondly, when you’re talking about your business, yes, talk about past accomplishments so long as their significant enough to stand the test of time, but keep the conversation about your business to recent and current pursuits. Regardless of how long you’ve been in practice, you can at the very least prove you’re active and growing. I sincerely hope these tips benefit you as they have done so for me. Get ready to rock your next networking event, and grow your business toward the vision you have for it. 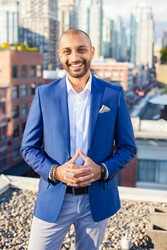 Terry Sidhu is a relationship, life and family coach with an advanced level diploma in psychology, based out of Vancouver, BC. You can connect with Terry through Noomii, his Website, Blog, Facebook and Twitter.